The Hautes-Pyrénées area is within the Midi-Pyrenees, around the Parc National des Pyrénées and right up against the Spanish Border. This is some of France’s most dramatic mountain terrain, a row of sharp peaks which is popular with skiers, but also quite raw. This is where you’ll find the least developed landscapes and rarest creatures. And the best places to stay in the Hautes-Pyrénées allow you to explore this region in comfort and peace. If you’re here to ski then there are some great recommendations for you on our Guru’s list of the best places to stay in the Hautes-Pyrénées, but there are also some small, family-run properties which are perfect for proper explorations into this rural and very traditional region. Biking - the Hautes-Pyrénées is a permeant fixture of the Tour de France itinerary - and hiking are both great ways to get around, but there’s also plenty to offer climbers. The most famous sights in the park are the Cirque de Gavarnie, which is 800metres wide at its deepest point, and 3000metres wide at the top, and the Pont d’Espagne, a bridge over one of the highest water sources in the Parc National des Pyrénées. The region is also known for its hot springs, and there are several springs resort towns. As well as the number of popular ski resort towns. As well as the natural beauty of the Hautes-Pyrénées you’ll find pretty mountain hamlets and villages, and the famous religious pilgrimage capital, Lourdes. Le Lion d'Or is a family-run hotel offering 19 comfortable, welcoming rooms and a hearty mountain breakfast within the Parc National des Pyrénées. You’re in a perfect spot for winter ski trips, but there’s plenty to do here in the summer as well. 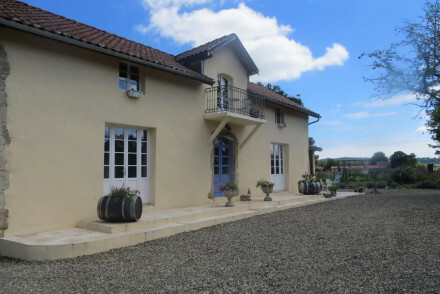 Les Petites Vosges is a typically charming Pyrenees house turned four bedroom B&B. The traditional rooms have wooden beam ceilings, parquet floors and modern facilities. Breakfasts are served on a roof terrace. You’re close to the mountains, but also to thermal springs. So it’s a great choice for an active break. Still not sure which is the best place to stay in the Hautes-Pyrénées for you? 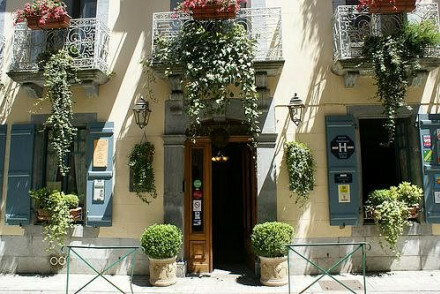 Browse through our list of all the best places to stay in the Hautes-Pyrénées, expand your search to include the Basque Country or contact one of our friendly Gurus for advice. A charming B&B in a typical Pyrénées house. Traditional rooms host wooden beam ceilings, parquet floors and modern amenities. A roof terrace and lovely breakfasts. Close to the city's Aquensis thermal spas and outdoor activities. A good choice for an active weekend in the mountains. Skiing - La Mongie-Tourmalet Ski resort open in the winter. Set in the village of Labatut Rivière, La Poterie is an unfussy B&B offering views of the Pyrenees. Boasting one chic room with a private bathroom, there's also a gîte with two double beds (sleeping up to 8) that can be booked up by groups. With lovely gardens and a pool, it's utterly charming. 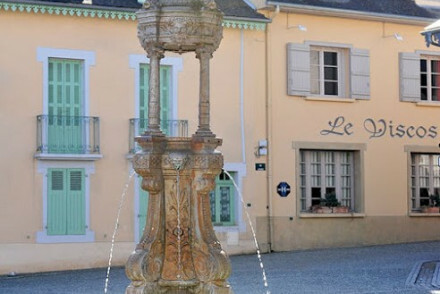 Value chic - With the charming B&B room from just €65 per night, including breakfast, La Poterie is superb value for money. Fishing - There are some fabulous nearby spots to go fishing if that's your cup of tea! 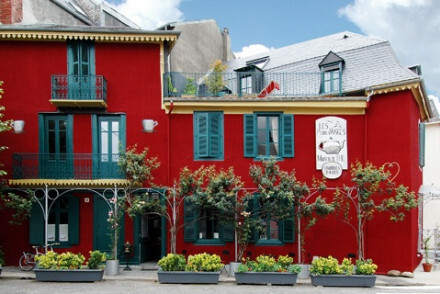 Contemporary hotel located in the centre of Tarbes. Rooms are sleek and modern with minimalist designs that optimise space and comfort. Equipped with meeting facilities to accommodate for 200 people, making it perfect for business or seminar weekends. Business meetings - Well equipped with a business centre and meeting room for business conventions. Active Holiday - Great area for golfing and walking holidays, as well as city exploring. Sights nearby - Religious pilgrimage site Notre Dame de Lourdes Sanctuary is eleven miles away. A picturesque and friendly family-run hotel in a Haute-Pyrenees village, serving delicious traditional dishes made with locally sourced ingredients. Light rooms have a fresh natural feel with soft hues, pine wood panelling and floral motifs. A lovely alpine stay. This family run hotel in the Pyrenees offers a warm and friendly welcome, comfortable rooms and a hearty breakfast -just what is needed in the mountains. Ideal location for skiing in winter. Hotel staff can advise you on walks, activities and things to see in the region during the summer season. Sights nearby - Hautes-Pyrenees: the Pic du Midi, Lourdes and Gavarnie. Other Activities - "Les Bains Du Rocher". Relaxing thermal waters. Mountain biking - Pyrenees Cycling Lodge 25mins away.